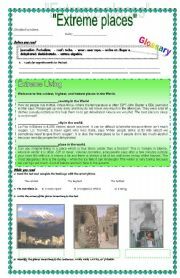 This is a reading comprehension plan about extreme places. it is really useful to work with comparative and superlative adjectives as linguistic reinforcement. I hope you like it ps. 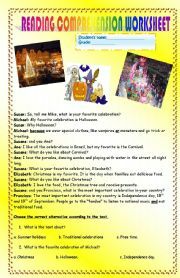 the text was taken from a book, but the activities are original. 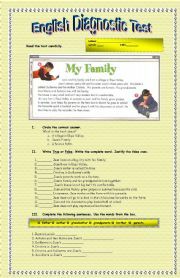 THIS IS A READING COMPREHENSION TEXT THAT CAN BE USED AS A READING ACTIVITY OR A TEST. IT IS ABOUT CELEBRATIONS AROUND THE WORLD AND ALSO INCLUDES A SHORT GRAMMAR REINFORCEMENT ABOUT CONNECTORS (AND, BUT, OR). I HOPE YOU LIKE IT AND CAN BE USED IN YOUR CLASS. 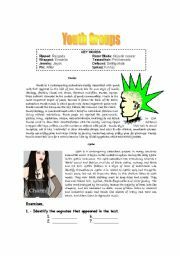 This is a reading text with activities, especially designed for teenagers. a very interesting topic to use in the class especially with teenagers about the pros and cons of using mobile phones. 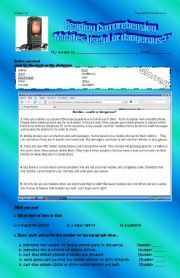 Everything is written in English, so there is no reason to take it out from this amazing website dear administrators. I HOPE YOU LIKE IT. 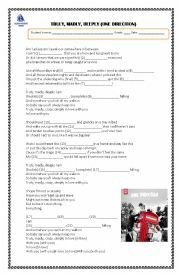 A lesson plan about movies with vocabulary related to it. This is a short test about family members and life on a farm. THIS IS A COMPREHENSION TEST ABOUT THE MOVIE CLICK TO BE APPLIED AFTER WATCHING THE MOVIE. 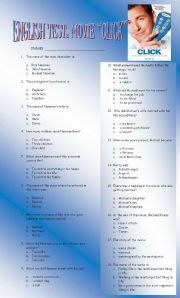 MY STUDENTS LOVED THE MOVIE AND IT WAS EASY FOR THEM TO ANSWER THIS TEST. I HOPE YOU LIKE IT. I chose this song because I needed something to work adverbs of manner with my 13 years old students. This activity really worked for me, because it�s simple and doesn�t take much time. You can use it to reinforce adverbs of manner in a different way. 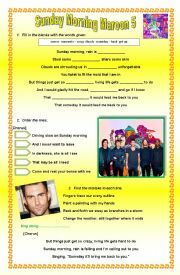 Your students will be surprised that you know this song.